You'll recognize the building when you see the flags on the balcony above the doorway. 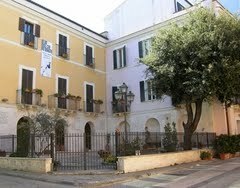 The first five rooms are still furnished with beautiful old pieces and the walls have their original paintings. 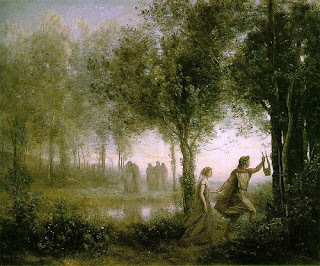 In the corner of each room look out for a caption from D'Annunzio's poem Il Nottorno, which describes the settings, objects and people the poet loved. In the sixth room are some of the poet's suits and accessories; in the seventh are his letters, documents and some of his original editons. In the eight room there are two casts of the poet's hands and face taken on the day of his death. 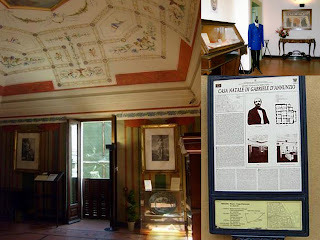 Another room is arranged with panels giving information about D'Annunzio's life along with extraordinary old photographs. 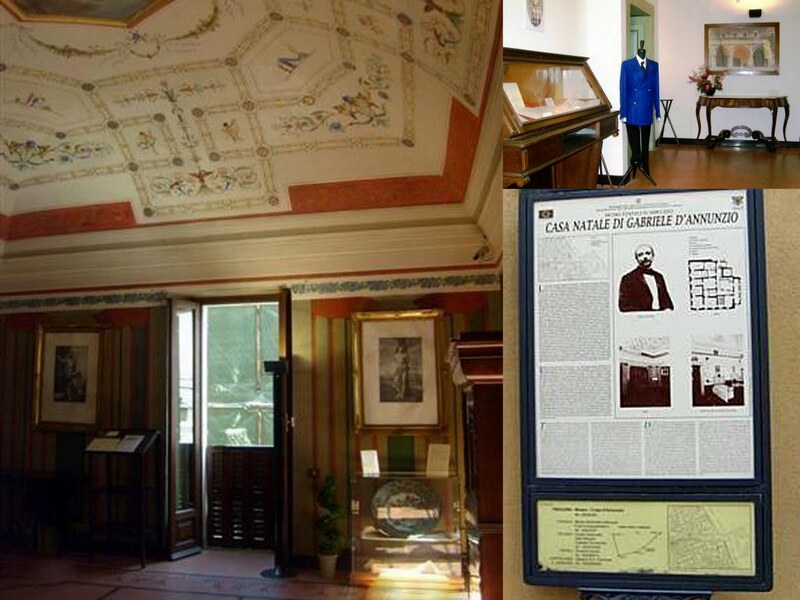 Another section of the museum is dedicated to the poet's wardrobe: his suits, coats, uniforms, hats and accessories. He had a unique, elegant and eccentric style! Listening to Italian poetry helps me to understand the language better as it is usually spoken at a slower pace. 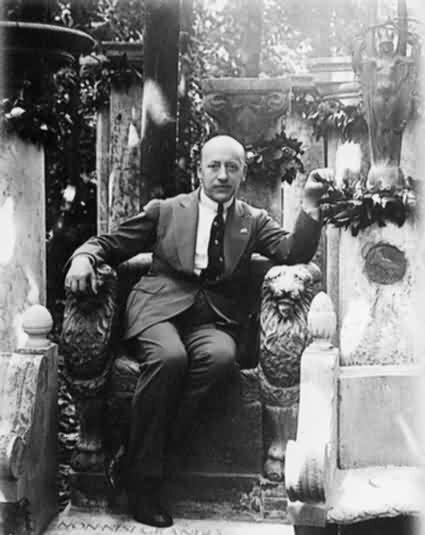 D’Annunzio’s poems include sensuous lines with a sublime musicality that paints pictures with simple sentences. "The Rain in the Pinewood" is a favorite of mine. In this poem the poet walks with his wife, Hermione, and invites her to listen to the melody of nature as the summer raindrops fall on the foliage in the wood. And leaves far away. E foglie lontane. Thick with fragrant berries. Folti di coccole aulenti. Which of Gabriele D'Annunzio's poems do you like? In the Bernardo Bertolluci movie "The Conformist" based on Alberto Moravia's novel, there's a scene on a train to Ventimiglia where the Trintignant character recites the D'Annunzio poem "The Rain in the Pinewood" spontaneously. Thank you so much Richard for this interesting comment! I have since found the movie ‘Il Conformista’ on YouTube (I hadn’t heard of it before) and found the clip where the character recites the D’Annunzio poem: from 38:37 minutes – 39:06. It is a really good movie too!